Take note Riviera Nayarit residents! The 1st Raicilla, Mezcal and Artisanal Beer Festival will be held soon on the weekend of Feb. 15th, 16th & 17th in the marina in Nuevo Vallarta. Events begin at 3pm and last through 10pm each day. Bring your family along and come enjoy a weekend full of flavors, traditional drinks, great music and activities. With more than 40 well known drinks, attendees will love sampling some of the best drinks and food from the region. Read below to learn more about the Raicilla, Mezcal and Artisanal Beer Festival in Nuevo Vallarta conveniently located just minutes from the Villa La Estancia. Have you heard about mezcal, but not sure how to tell the difference between tequila and mezcal? Many people associate tequila with mezcal, but there are three key reasons how mezcal is different from tequila. To start with, tequila and mezcal are produced in different states in Mexico although there are a few states that produce both spirits. Mexican law dictates that tequila can only be produced using the blue agave plant. The state of Jalisco is the center of the tequila universe and the quaint town of Tequila is recognized as the birthplace of tequila. Mezcal can be made with up to 30 different varieties of agave and has a different production process that creates a distinctly different flavor. Right now, mezcal is produced in 8 specific regions of Mexico including the states of Oaxaca, Durango, Guanajuato, Guerrero, San Luis Potosi, Tamaulipas, Zacatecas, and Michoacan. The center of the mezcal world is in the state of Oaxaca where up to 80-90% of all mezcal production is found. Raicilla is similar to tequila and mezcal and is produced in 16 regions throughout the Mexican states of Jalisco and Michoacan. The origins of raicilla come from the maguey lechuguilla plant which is a variety of agave. In 2014, annual raicilla production estimates indicated that 50 thousand liters were distributed among 70 traditional producers. Right now, the areas of Mascota and Cabo Corrientes in Jalisco are the top producers of raicilla. 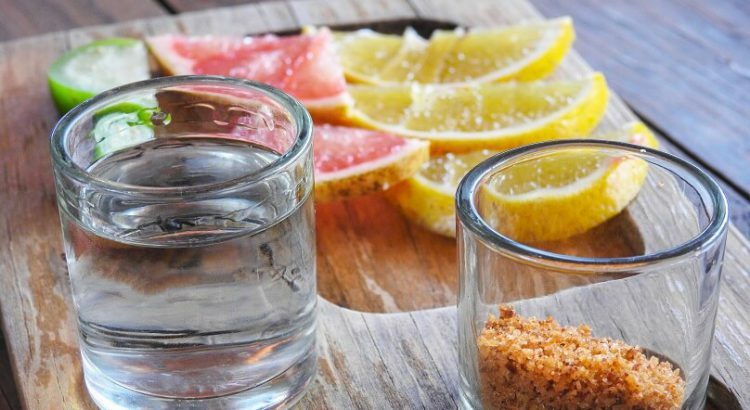 At the Raicilla, Mezcal and Cerveza Artesanal Festival in Nuevo Vallarta, attendees will be able to sample a variety of spirits and learn more about the distinguishing factors between these three enticing elixirs. Beer lovers will also be pleased to find that craft beers will be showcased at the festival as well. Artisanal or craft beers are beers made without additives, preservatives or pasteurizers. Artisanal beers are essentially alive and an interesting product in that the taste changes every day due to the presence of live yeast. Mexico’s craft beer industry has experienced a boom over the last few years with many new breweries popping up just south of Nuevo Vallarta in the Puerto Vallarta area. Los Muertos Brewing and Monzon Brewery are two choices that locals can visit. At the Raicilla, Mezcal and Cerveza Artesanal Festival in Nuevo Vallarta, Mexican craft beer brewers will be sharing their top beers that are sure to delight. Come experience a variety of Mexico’s best spirits and beers at the Raicilla, Mezcal and Cerveza Artesanal Festival in the Nuevo Vallarta marina just a stone’s throw away from Villa La Estancia. The weekend of February 16th and 17th from 3pm through 10pm, attendees will get to sample Mexico’s top spirits and enjoy great food as well. Hope to see you there! See more eventis in Nuevo Vallarta, Riviera Nayarit here.